“As Morocco’s economy slows, the jobless are getting restive”, The Economist, 1st March 2018. The article explores recent developments in Morocco and begins by listing statistics meant to describe the economic improvement within this country. It quotes GDP per person increasing by some 70% since 2000 and mentions tax breaks attracting numerous foreign investors to this north African state. Tellingly, the article has an eco-tourism employee stating, “We can’t just build hospitals and schools…We need to lay the foundations for investment and regeneration”. (Sami Bouhmidi, Marchica eco-resort manager) This statement illustrates the awareness of the differing approaches to the idea of development in the modern era. Those onboard the foreign investment trickle down economics approach to development promote the benefits of their way in contrast to The Basic Needs Approach favoured by many NGOs (Spalding, 1990, p. 91). The article, by The Economist, does, however, also chart the reality for many Moroccans who are not experiencing the positive effects of this boost to the economy. Youth unemployment is listed at 40% in the north of the country, and poverty is demanding charitable food distribution in Sidi Boulaalam, which is located some 200 miles south of Casablanca. The report acknowledges King Muhammad of Morocco admitting great and growing inequalities within his nation. As in many places, there is a ruling elite, which controls the greater parts of the economy. The indigenous Berbers have been traditionally supressed by the Islamic ruling party and the threat of violent protests are readily imminent. As the economy slows in Morocco, many are demanding the government does more to alleviate poverty. The Capability Approach to development is, according to Sen, “the opportunity to achieve valuable combinations of human functionings”, and as clunky as that sentence sounds, it is an important part of human freedom and our rights as human beings (Sen, 2006, p. 153). The Capability approach empowers individuals through considerate development opportunities. Those of us living in wealthy western states have been conditioned to see the world in two different zones, the developed, and the underdeveloped. Numerous commentators, including Gustavo Esteva in The Development Dictionary, have identified American President Truman’s speech in 1949, as the progenitor of this world view. Wealthy superpowers like the United States were, from then on, doing these ‘underdeveloped’ nations a huge favour by exploiting their natural resources for profitable economic development. It was no longer possible to remain a natural oasis living apart from the wheels of progress, countries were duty bound to submit to development. Singh points out that Fukuyama identified the hegemonic influence of multinationals on the lives of peoples around the world (Singh, 2011, p. 811). In the case of Morocco, in the focus of this particular media report, building eco-resorts for wealthy tourists to holiday in is the way forward through foreign investment. Jobs are created via this development and, hopefully, some of the money spent by the tourists will trickle down to the locals, who are living on the poverty line. Unfortunately, many sectors of society are left behind, economically, through this kind of investment, with much of the influx of money going to wealthy Moroccan elites and back overseas to the investors. A high-speed train and new highways transport the tourists around the nation, but locals cannot afford the tolls and tickets to take advantage of these infrastructure improvements. Democracy is an important component of development, if development is going to serve the needs of the greatest number of human beings living in that nation or community (Donnelly, 1999, p. 609). Since the 1990s, the United Nations has begun to make its voice heard internationally about the nature of development and the human rights of those affected by these developments. Some say about time too, as it remained effectively silent on the topic for some fifty years from the Universal Declaration in 1949 until the emergence of Kofi Anan. The Rights Based Approach to development encapsulates this ‘rights first and above all else’ consideration of development. Development for whole human beings and not just their economic considerations. States must be accountable to the rights of their constituents, no matter their level of economic power (Cornwall, 2004, p. 1417). Under this model of development, vested interests can no longer ignore the human rights of those affected by their developments. Focusing on a few eco-resorts in Morocco is not addressing the economic and human plight of many Moroccans, it is probably going to make a few wealthy Moroccan interests even richer, but it is not addressing the basic needs of the majority of the nation’s population. Morocco has seen colonisation by Islamic Arabic rulers and by French colonial administrations over the course of its history. 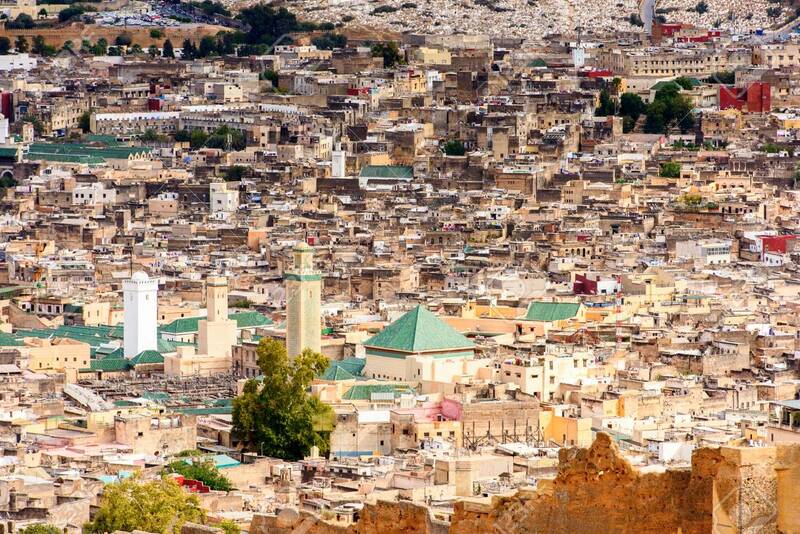 Both external powers have left their mark culturally upon this, originally, Berber territory. Development has favoured the ruling elites for much of the nation’s history. Disenfranchised sections of the population continue to be neglected by development sanctioned by the state. Neoliberalism won the cold war, with the demise of the USSR and the fall of the Berlin Wall in 1989, and multinational corporations have had a hegemonic influence on the lives of human beings across the globe ever since. Communities and ecosystems have been destroyed in the name of progress and economic development. The UN and its various bodies have been a voice for the human rights of people affected by these developments, since the late 1990s, but not the loudest voice in the room. Capitalism and the, ‘so called’ free market economy, remain the loudest voice on this planet. Social responsibility is still a relatively novel concept for many in the halls of power, be they in Washington, Canberra or Rabat. Self-interest remains a powerful motivator for those who can control the levers of economic development within a city or nation. Private property sits at the heart of our economic systems; and the Marxist model is shunned by neoliberal forces globally. The nub of this dilemma is, to be crude, the question of whether beggars can be choosers. This is how the power elite would see the situation in regard to development in poorer nations. Whether Sen and Nussbaum can invoke Aristotelian ethics to shift the profit motivation as bottom line for corporate multinationals when operating in ‘underdeveloped’ nations is, at this stage, an unresolved question (Crocker, 1992, p. 584). Cornwall, Andrea, “Putting the ‘rights-based approach’ to development into perspective”, Third World Quarterly, Vol. 25, pp. 1415-1437. Crocker, David, “Functioning and Capability: The Foundations of Sen’s and Nussbaum’s Development Ethic”, Political Theory, Vol. 20, pp. 584-612. Donnelly, Jack, “Human Rights, Democracy, and Development”, Human Right Quarterly, Vol 21, pp – 608-632. Sachs, Wolfgang, The Development Dictionary: A Guide to Knowledge as Power, 2nd ed. (2009). Sen, Amartya, “Human Rights and Capabilities”, Journal of Human Development, Vol. 6, pp. 151-166. Sikha, Prem, “Accounting for human rights: The challenge of globalization and foreign investment”, Critical Perspectives on Accounting, Vol. 22, pp. 811-827. Spalding, Nancy, “The Relevance of basic needs for political and economic development”, Studies in Comparative International Development, Vol. 25, pp. 90-115. The Economist,“ As Morocco’s economy slows, the jobless are getting restive”, , 1st March 2018. Retrieved from https://www.economist.com/news/middle-east-and-africa/21737560-protests-north-have-pricked-kings-conscience-moroccos-economy-slows Viewed 27th March 2018.